Heredity vs. environment for heart disease: which do you think causes it? 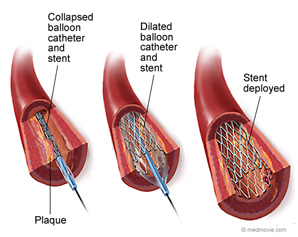 I started this blog after having an angioplasty in 2012 because current medical science thinks what we eat, our food environement, can impact such things as how or if cholesterol builds up in our arteries to cause the type of major blockages I experienced. Doctors have put me on cholesterol lowering drugs, even though my cholesterol levels were never in a danger zone prior to my heart troubles, and they’ve advised me to cut the salt, fat and sugar from my diet. While I’m doing all that hoping it will help, I’ve never gotten past thinking the real cause of my problems is simply heredity, given that my father and several aunts and uncles have died of heart attacks. My heredity argument got some serious reinforcement recently when I read of two studies linking a gene to the possibility of heart problems. Apparently a mutation of this gene translates into lower production of triglycerides in your body, yet another thing doctors think contributes to the possibility of heart troubles. “The researchers discovered that people with a genetic predisposition to higher triglyceride levels had more heart attacks and those with genetically lower triglyceride levels had fewer,” according to a New York Times article about the studies. Those with the mutation have less likelihood of heart troubles, those without it more. I’d love to know if there was a test I could do to see which group I’m in, although I think I already know. There are test but it depends on where you are etc and what your doctor thinks and family history is most important. Thanks for sharing!